Pro tip: you can get more out of your marijuana experience by doing simple things such as eating chocolate, drinking herbal tea, or getting a massage. That’s according to Dr. Dustin Sulak, a Maine-based integrative medicine osteopath and cannabis expert. While one might assume that marijuana basically works the same for everyone, that’s not the case. Certain foods, drinks, and activities can bolster the endocannabinoid system, a complex network that responds to components of cannabis, and enhance the plant’s overall effects. Take the herb echinacea, for example. It has long been used to enhance the immune system because it “contains compounds that stimulate the CB2 receptor and may inhibit the CB1 receptor,” Sulak said. 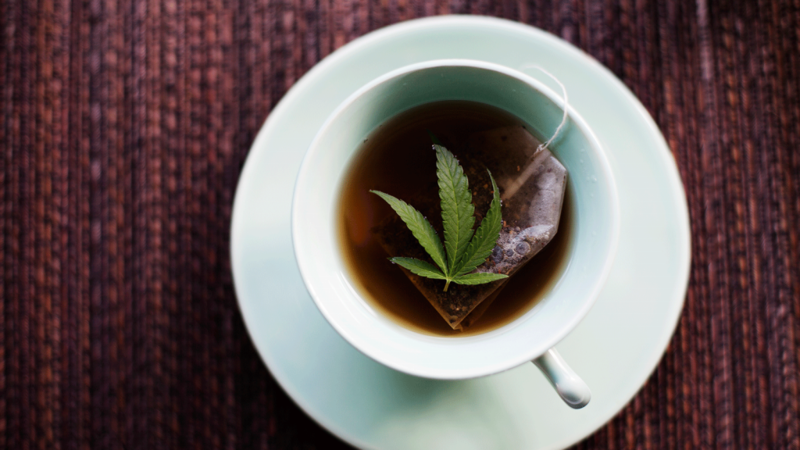 So for someone suffering from a condition such as arthritis, steeping and sipping some echinacea tea could give marijuana’s anti-inflammatory properties a boost. Other ingredients that are known to stimulate CB2 receptors and reduce inflammation include black pepper, oregano, cinnamon, and clove, all of which contain the terpene beta-caryophyllene. Then there are chocolate, galangal, and maca root, all of which inhibit FAAH and increase the levels of anandamide in the body. The more anandamide, the more active the endocannabinoid system. “For those that don’t get enough in the diet, I recommend supplementing with omega-3 capsules …” he said. While dietary changes can make marijuana more effective, engaging in stress-reducing activities can also help, Sulak pointed out. Chronic stress depletes the endocannabinoid system, likely due to the increased levels of the stress hormone cortisol, he said Some tried-and-true methods to destress include social interaction, meditation, yoga, massage, and breathing exercises.